A decade of Feeding Edge – 10 Years? Really? In February 2009, after 20 years at IBM, I left. It is one of those sliding doors moments (or I should say Russian Doll given the latest Netflix sensation) where I took a particular path which led me straight to creating Feeding Edge. It is now a full 10 years, an entire decade since that moment. 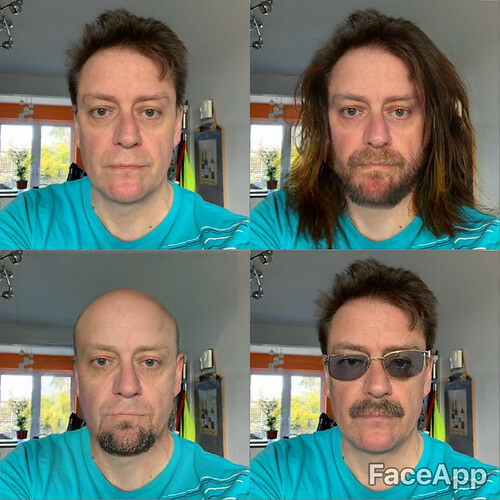 Which is utterly amazing to think as its 1/3 of my 30 year career so far that I have had this site and written and shared what I see and feel in emerging tech. This 0xA or 0b1010 number of years has for the most part been full of unusual, interesting and rewarding (intellectually more than financially) experiences. It is coming up to 3 years of being an analyst at 451 Research, which seems to have flown too. It is always fun to do an intro where we share our various experiences to people as I get to throw in kids TV shows, sci fi novels and virtual hospitals, as well as the 20 year IBM career and being officially a metaverse evangelist in the previous wave of VR and AR. On of the really cool things for me is that I have had all things virtual as a consistent part of my work and play for a very long time. The Second Life and Eightbar movement from 06-09 was a follow on from work in at the start of the century and that in turn was influenced by my engagement with games back in the late 70’s. Thinking about it I go to experience the rise of the video game, as a gamer from my formative years, plus as I started work in 1990 it was the beginning of the web (which celebrates 30 years this year). All the wonderful tech and experiences still seem fresh to me, and I still get a buzz out of helping people come to terms with the new without, I hope, being too world weary about it all. 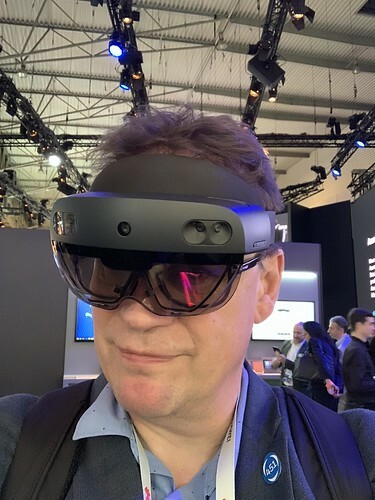 This year, again, I was at MWC in Barcelona and I was really pleased to be able to be able to take part in the analyst event as part of the release of the Hololens2. So give or take a few days this was the 10th anniversary of this metaverse evangelist striking out on his own and I got you see this kit in action for real. There are so many other cool things happening such a mass of fantastic gaming experiences too. Going back to those early days of asteroid and space invaders and now we have Read Dead Redemption 2 et al. It’s utterly wonderful. Of course not everyone does this stuff, many people are still worried about new tech or any tech. That is a shame because there is so much to be learned and gained from it. After a hard workout I tracked doing one of each of out main punches, 12-16 mph impact 🙂 very happy not wasting away ! I have no idea what the next decade may bring, but with a wonderful family with me, good health and fitness, a couple of novels ready to be a Netflix series and eternal optimism it should be a blast.